This lesson is 100% property of the fabulous Patty at Deep Space Sparkle! 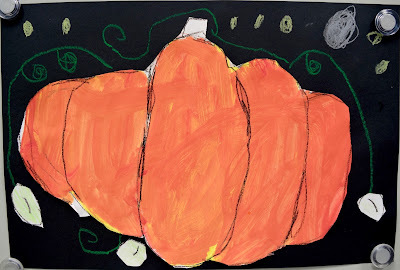 The only thing I changed was I gave my students oil pastels to add any details they wanted instead of chalk pastels. 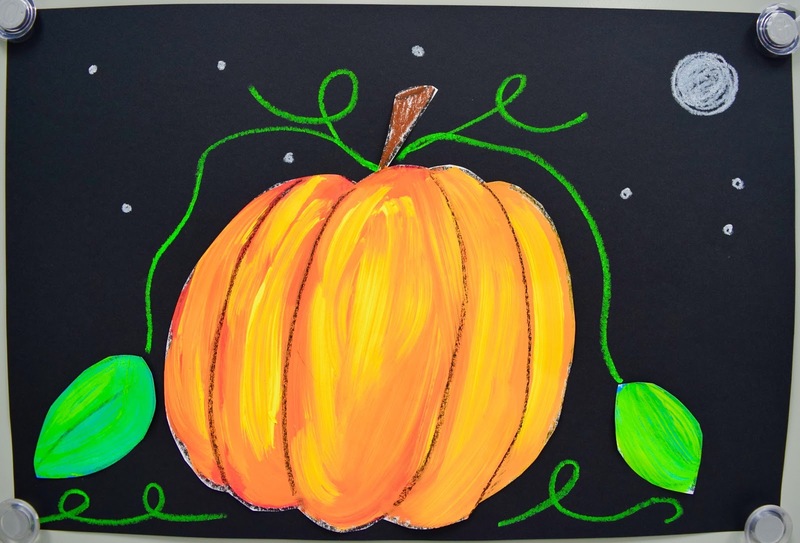 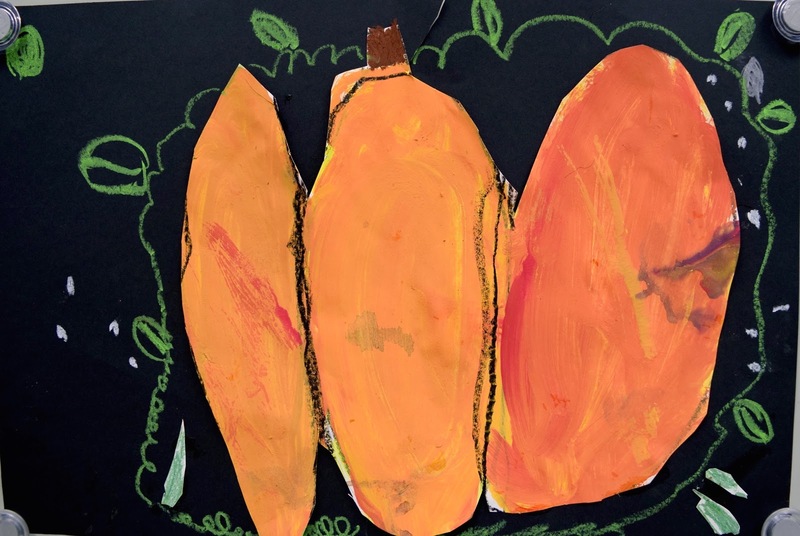 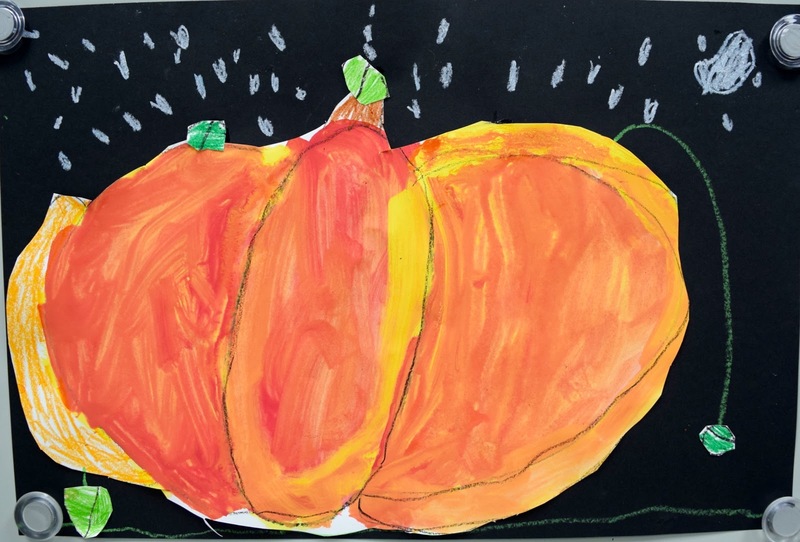 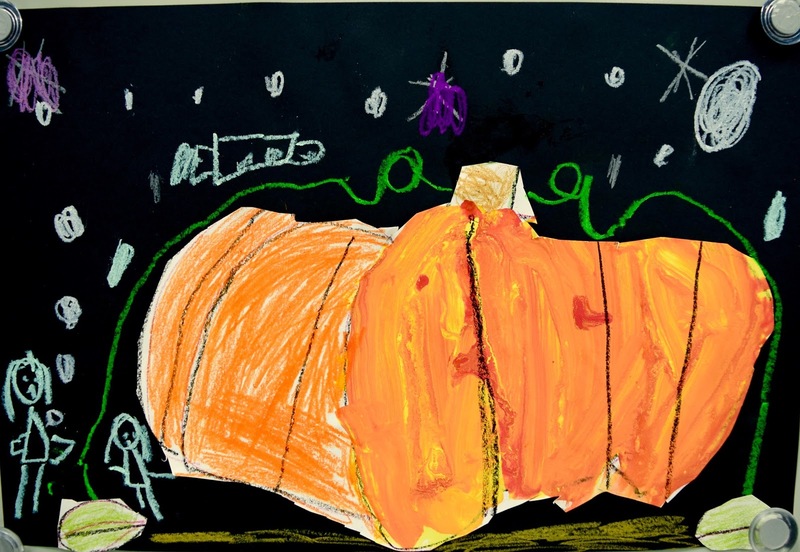 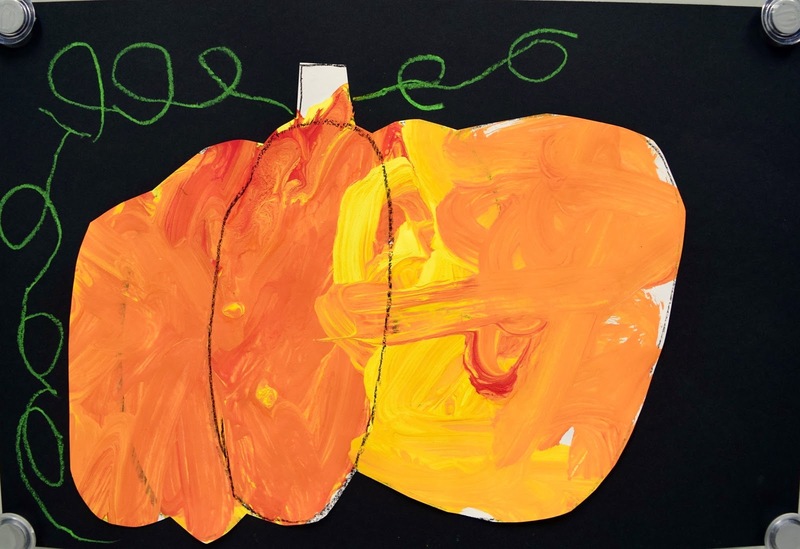 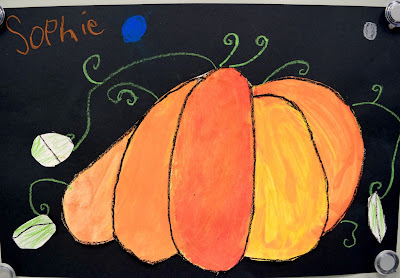 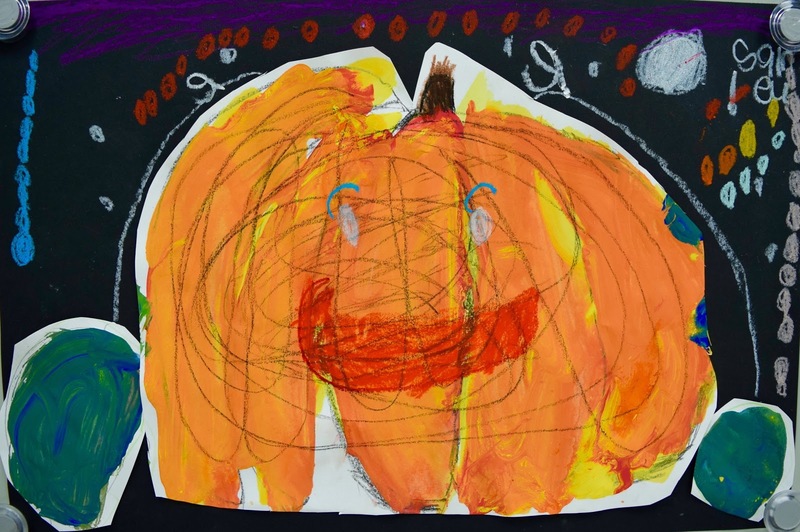 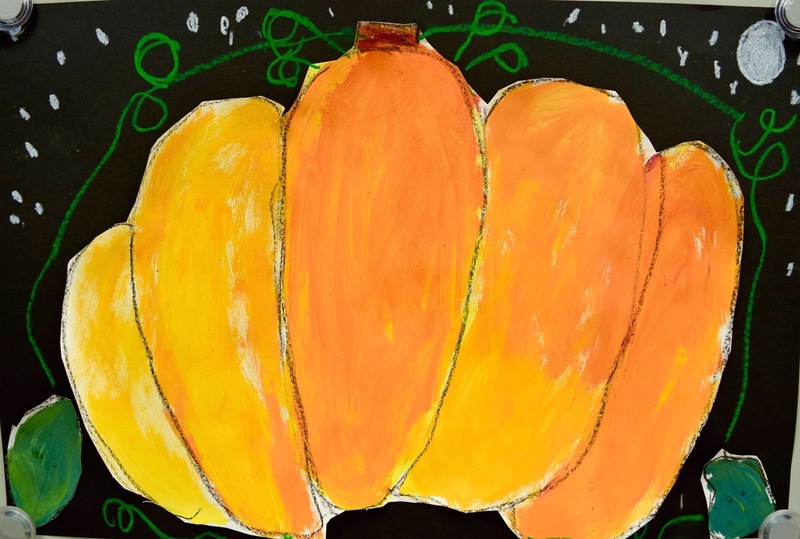 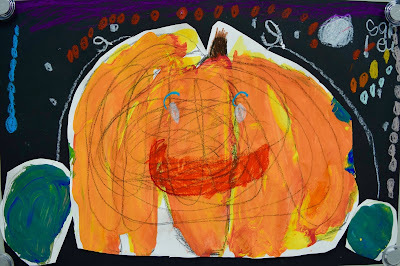 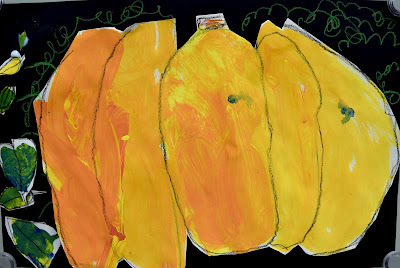 My kindergarteners really enjoyed learning how to draw a pumpkin and how to paint it in using primary colors! I haven't taught my kinders about primary colors specifically yet.. so this was their first time experimenting with color mixing in my class!